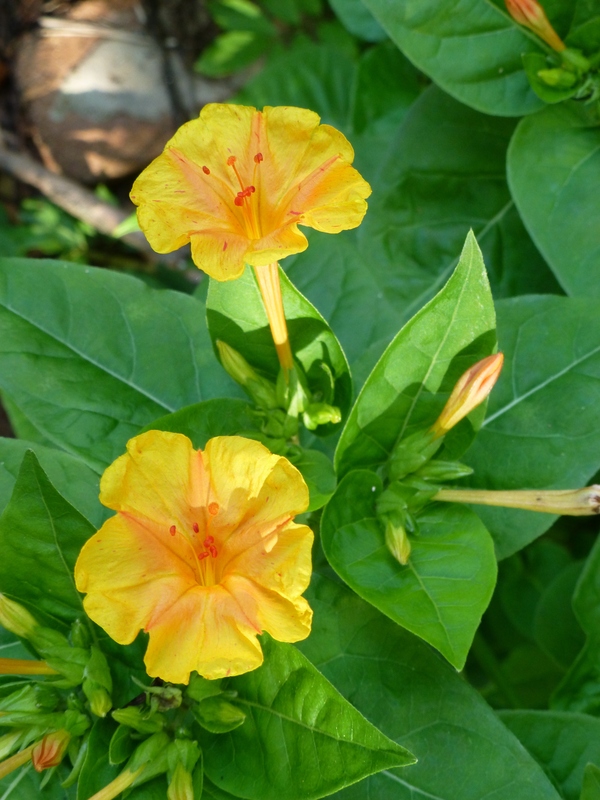 I wish I could send you its perfume… There’s nothing quite like the incredibly heady aroma that radiates from this spectacular plant. It reminds me of my childhood. A magnificent specimen grew in the front yard of my aunt, and as a child I would collect the fallen flowers (which still retained their charm) and place them in a shallow bowl of water, for use as a table decoration. The plant we have growing in our front garden here came from my own childhood home, but there it grew simply in a large pot. Soon after we moved here, my parents planted it, and it’s thrived! 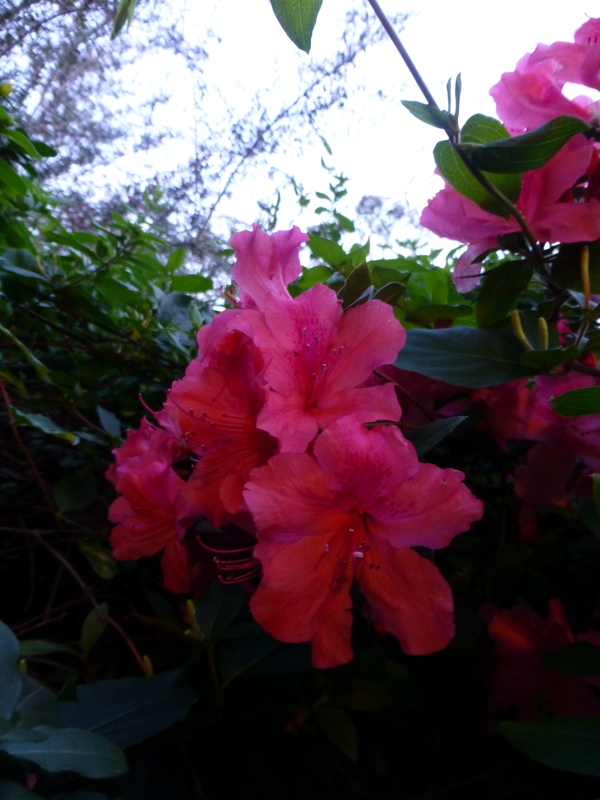 One of my favourites is the azalea. We have seven in our front garden, and at present, two are blooming. Enjoy this first taste of a Spring in Sydney, Australia. 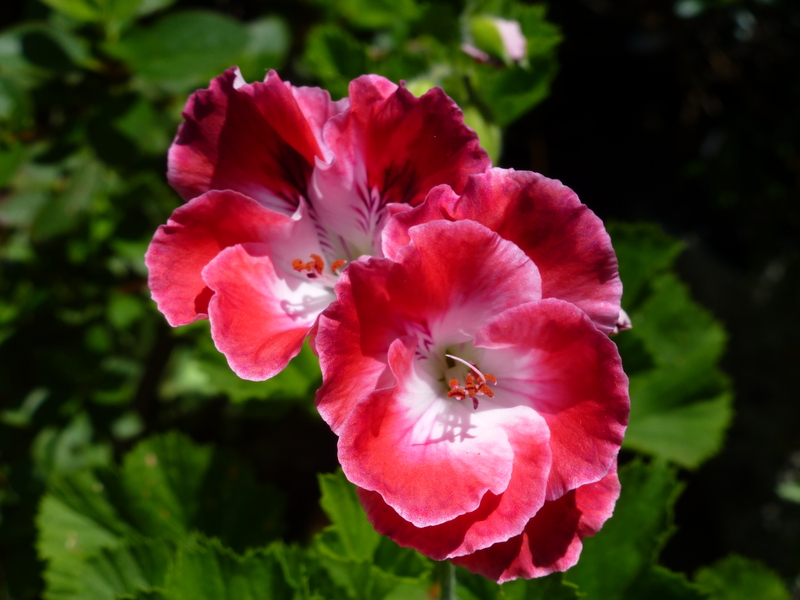 I recently posted a photograph of a purple Pelargonium, and many people liked it. So today, I’m showing you another that I grow: this one, a gift from a close friend. 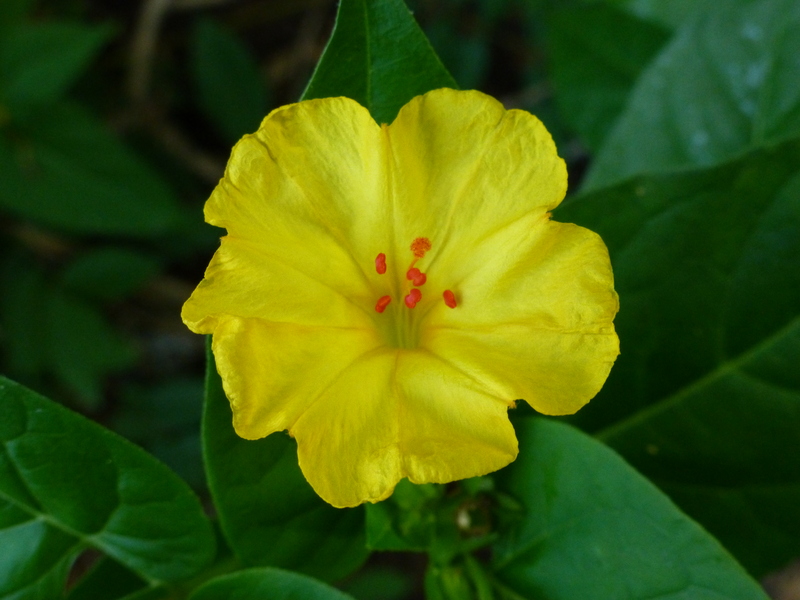 When I was a small child I loved these little flowers that, as if by magic, opened every day at around four o’clock. They flowered in summer and autumn, and came in a variety of bright colours: sometimes, more than one colour on an individual plant. Hardly and prolific, they grew almost as weeds. 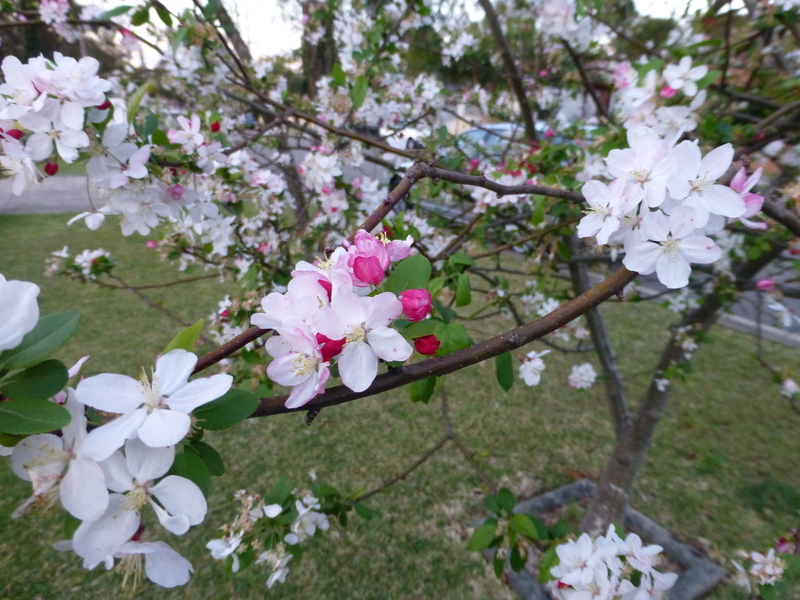 Here in Sydney, Australia, the Spring blossoms are starting to fade, and unfortunately some have completely dropped off their branches. Certain flowers remind me of my childhood. I grew up in an inner-city suburb of Sydney, where gardens were far less common than in the district where we now live. In fact, I remember only a handful of flowers that grew in my childhood home: red geraniums, snowdrops, snapdragons of many colours, red, pink and yellow four-o’clocks, and purple pelargoniums. 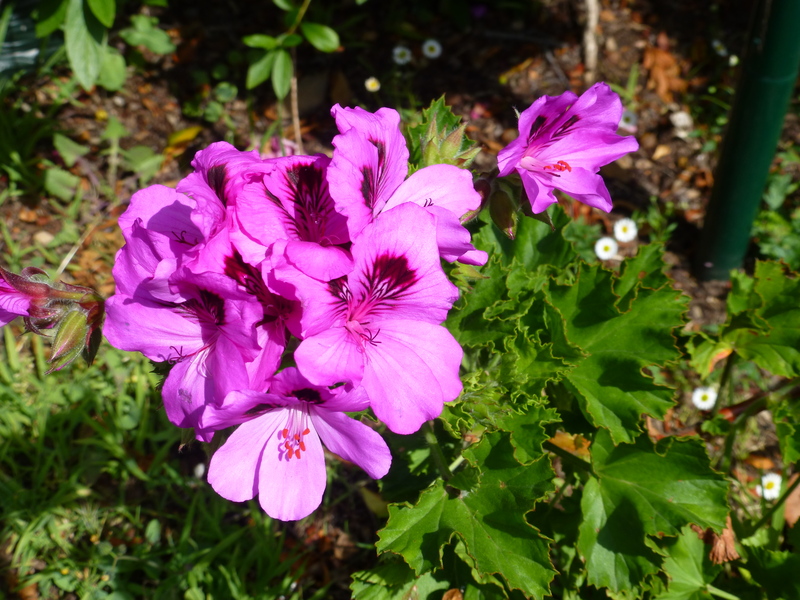 Here is a photo of a direct descendant of that original purple pelargonium. When we moved, we took slips, and so the plant, as well as the memory, lingers on.